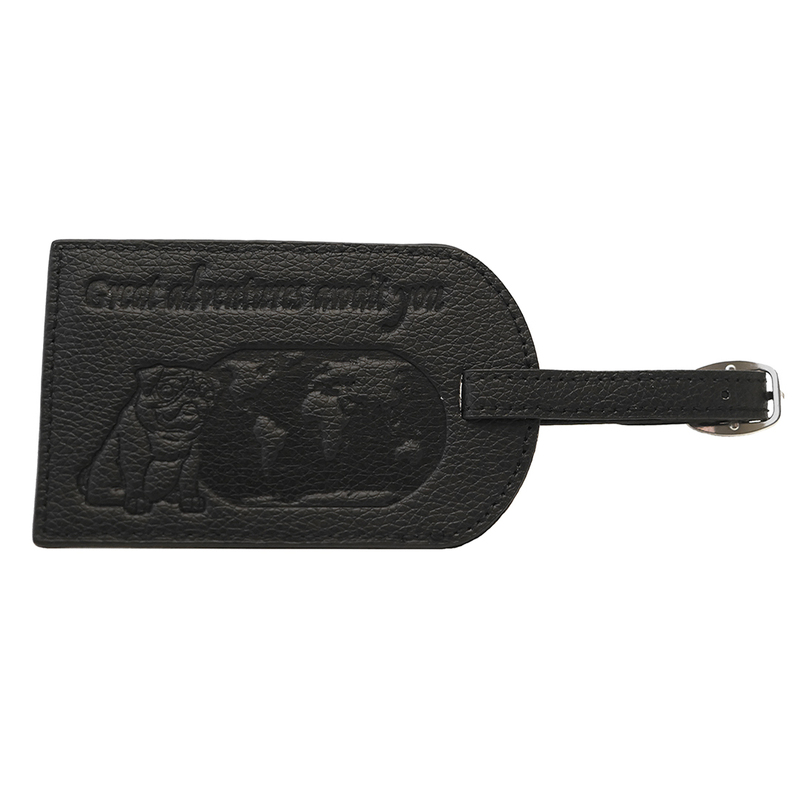 As this cute luggage tag proudly proclaims, "Great adventures await you" as you explore the world with your pug. 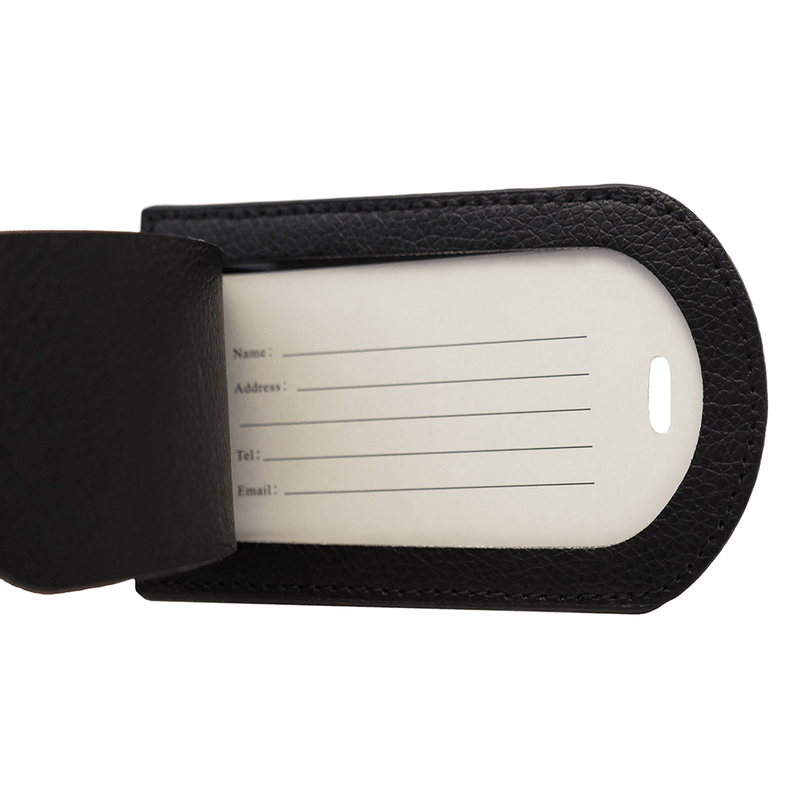 You can tag your bag with this stylish faux leather embossed luggage tag to make it easier to identify it on the luggage carousel and help it find its way back to you if lost. The luggage tag measures about 4.5" long and includes a matching 3" faux leather strap with metal buckle. Your contact information remains covered by a privacy flap that can be pulled back to reveal your name, address, telephone number, and email address when needed.